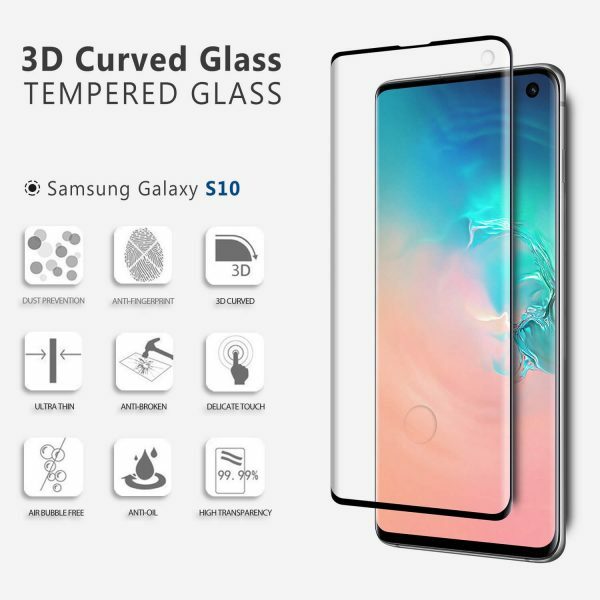 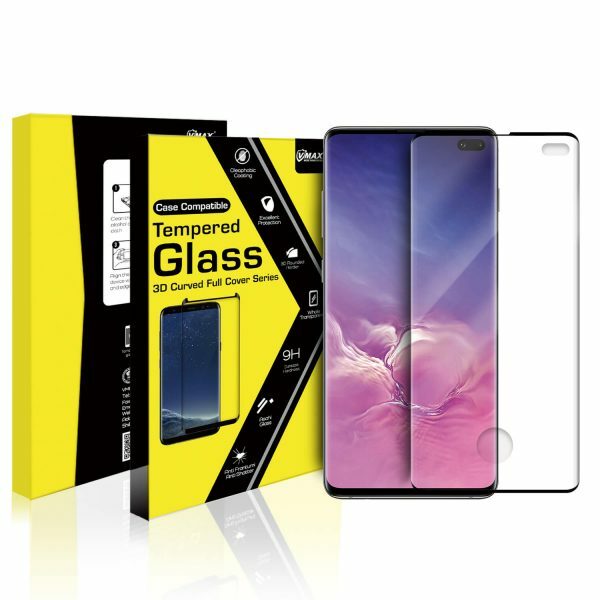 FULL COVERAGE：Specifically designed for Samsung Galaxy S10 Plus, Using precise laser cutting technology to offer maximum screen coverage. Give your phone the best protection and a brand new face. 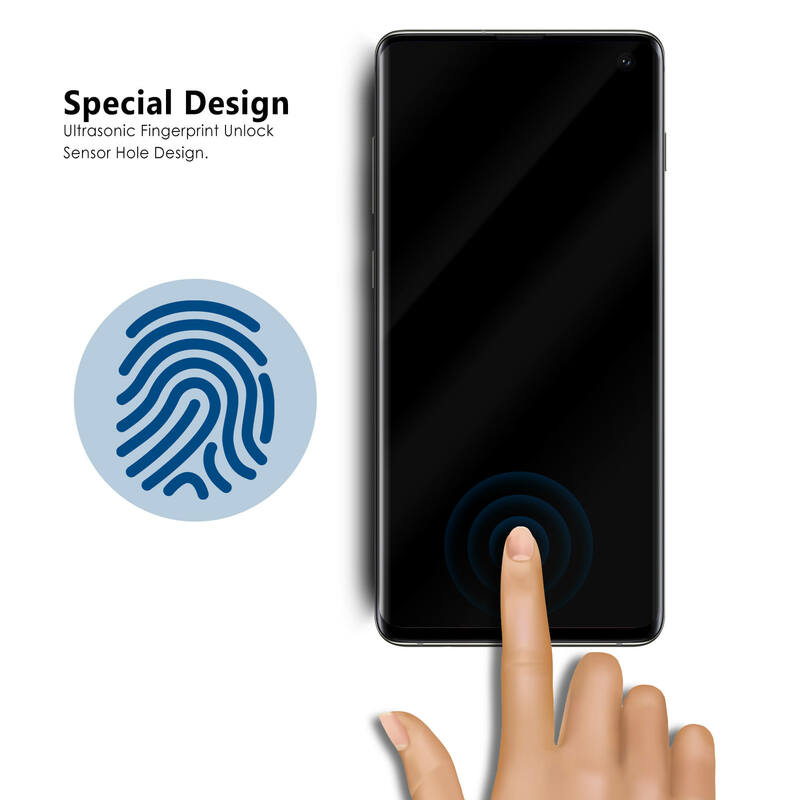 HIGH-SENSITIVITY TOUCHING AND CLEAR：Ultra slim protector gives real touch feeling and high sensitivity, promising original high-response touch feeling without any interference. Ultra clear 99% High-Transparency provides you high-definition clear viewing. 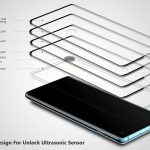 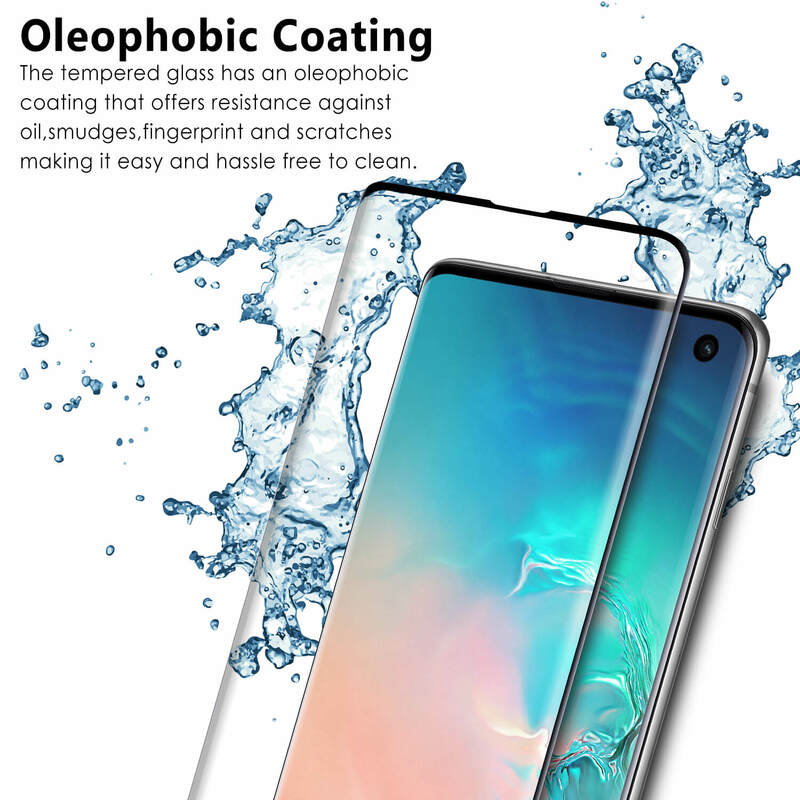 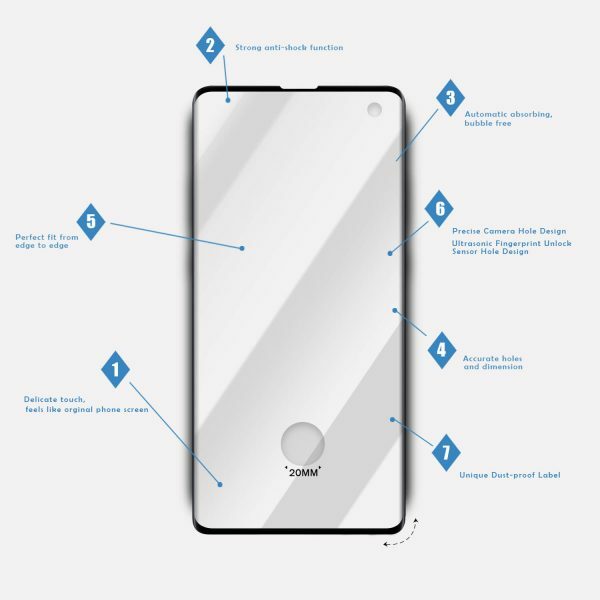 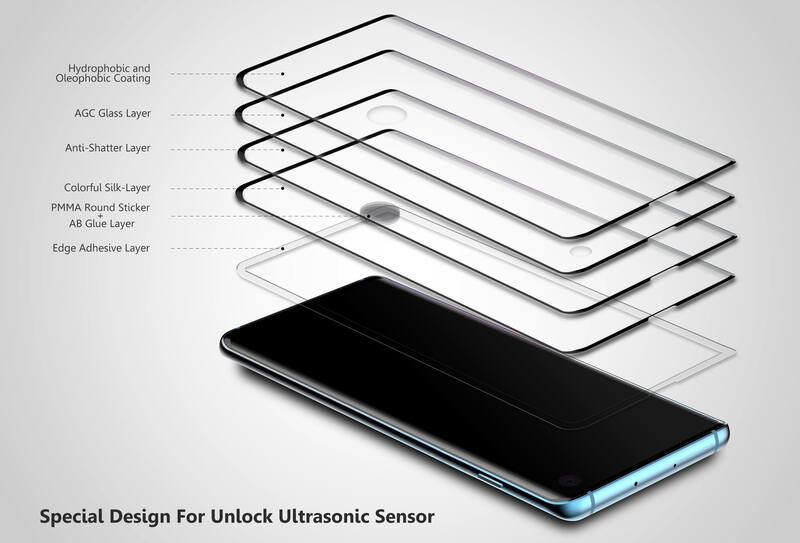 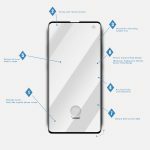 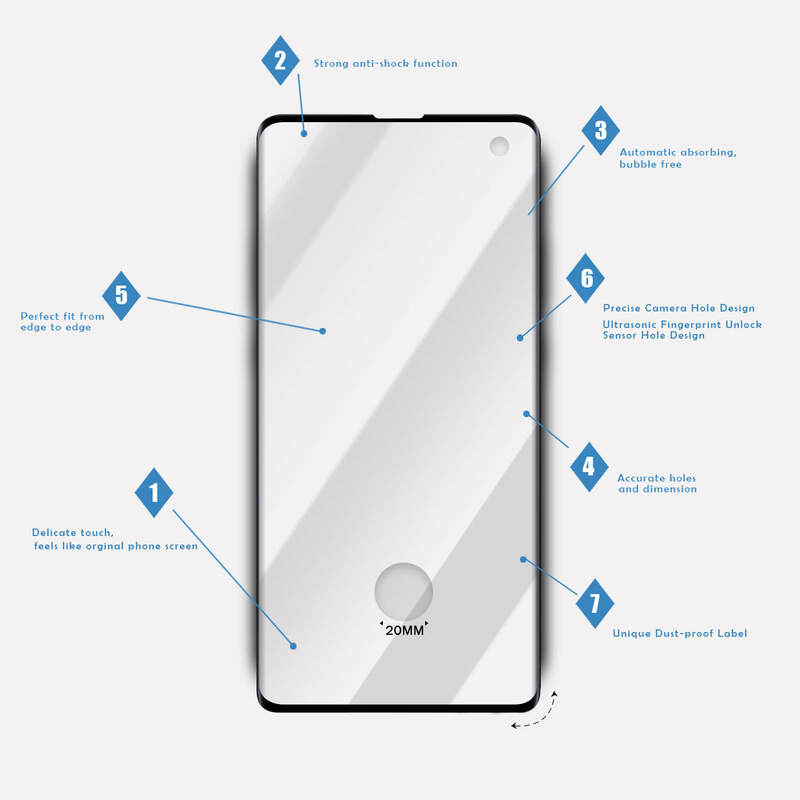 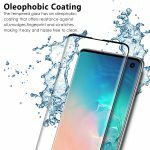 ANTI-FINGERPRINT：Coated with hydrophobic and oleophobic clear layers, the glass protects against sweat and oil residue from fingerprints, keeping your phone screen pristine all day long. 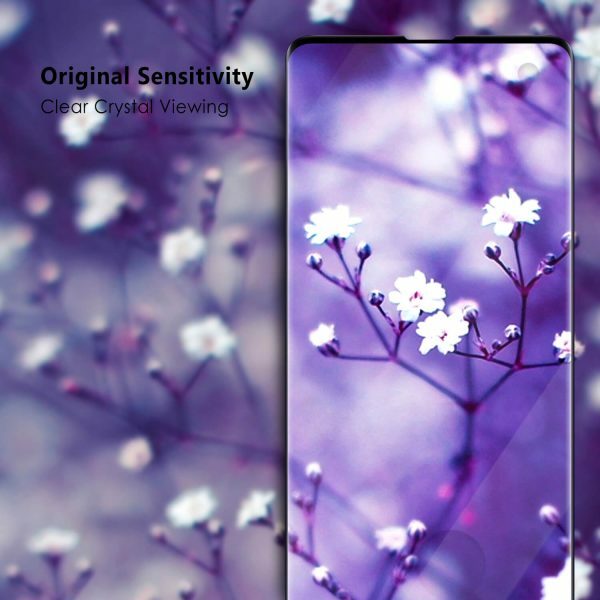 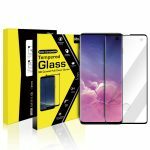 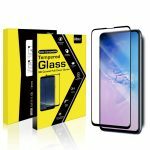 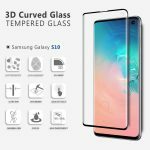 EASY INSTALLATION：The screen protector fits perfectly with the Samsung Galaxy S10 Plus Screen. 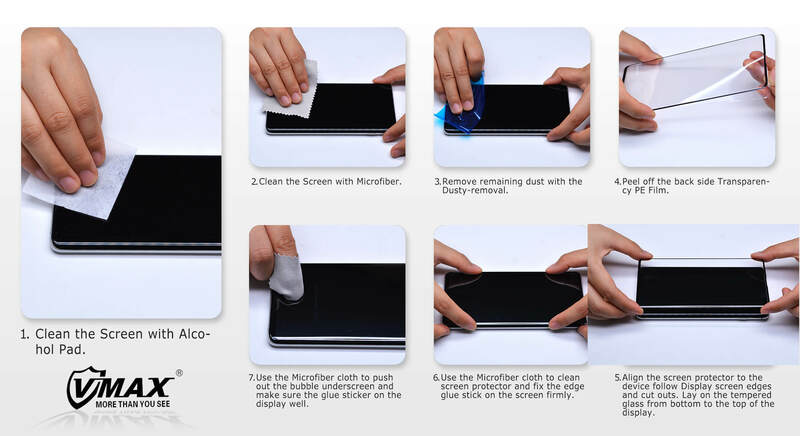 The cleaning cloth and Dust-removal sticker ensure a bubble and dust-free application.